Unlike another themes, we separate review to another post type than normal post. We need to do it because we want to have more power on review. Such as filter review base on category, filter product brand, or sort category base on price, rating. Its will bring better experience for your website visitor, especially if you also want to power your website with more advance reviewing system than other theme does. This metabox content will show on the review box on post. On product summary, you can write short content of sumarry of your product review. You can also write detailed what good and what bad of this product. Also we provide product rating that you can use to rate product you review. You can add review name, review point, and after you finished & click update, mean score will be automatically calculated. This themes also allow you to give product price. 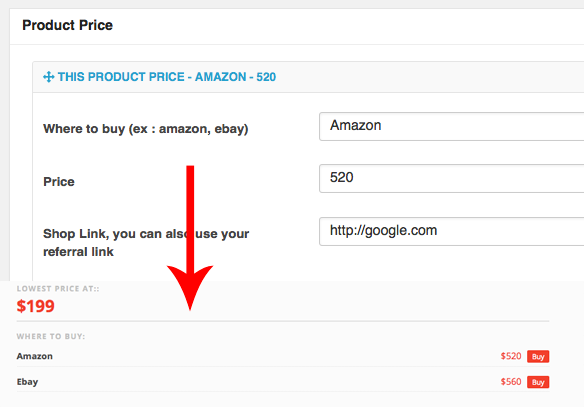 You can give your referral link on product price metabox. This option give you ability to gain money from your referral link. 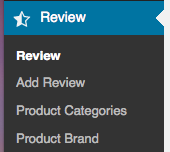 for more option of review content, you can go to Jmagz Dashboard→Review Option. You can change currency Text, where product price will be shown, and other option.